What purpose do you want the chair for? What are the types of adjustment options you want? Do you have frequent workspace changes? Do you want armrests for additional comfort? Working at a high desk can be stressful, not to mention tiring. This is why it is necessary to ensure comfort. This is where a Draughtsman Chair comes in handy. Not only can it be adjusted, but it provides adequate support lumbar support as well. Many workplaces use high desks in order to conserve space. High desks offer many advantages, but they can be a challenge to use. This is why employees prefer draughtsman chairs. They can easily be adjusted to a height. Draughtsman chairs also provide excellent back support. You don’t have to sit uncomfortably. Most chairs have three adjustment levels that allow you to customize your chair’s position. 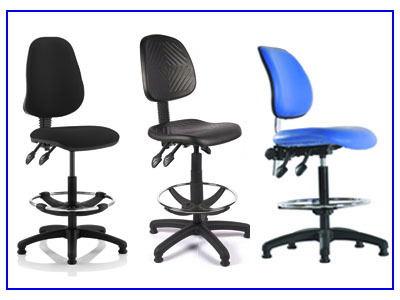 Draughtsman chairs not only enhance the aesthetic appeal of a workplace, but are a ergonomic necessity. This entry was posted in Draughtsman chairs, Factory Chairs and tagged bench chair, draughtsman chair, Draughtsman chairs, high chair, high office chair, industrial seating, lab chair on July 31, 2018 by David Bradshaw.